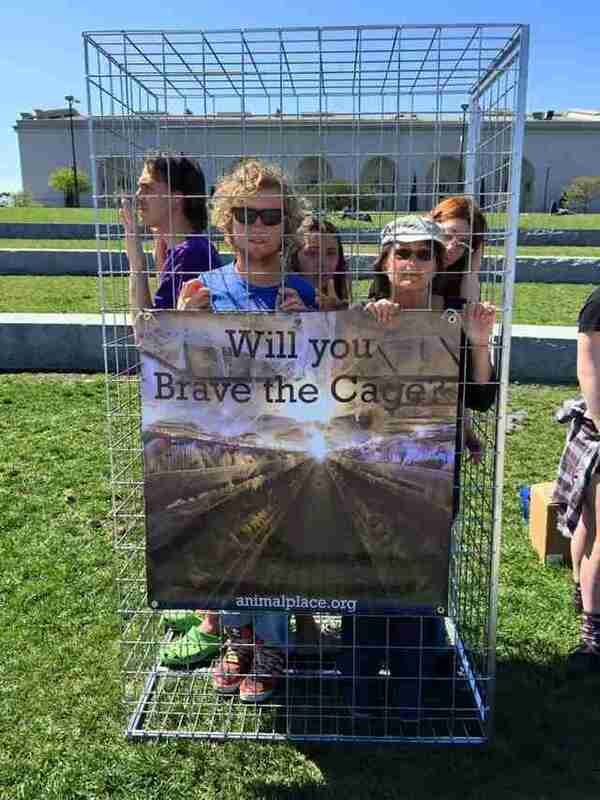 Throughout northern California, Animal Place has been holding provocative events challenging people to Brave the Cage and step inside a human-sized battery cage, the type hens are forced to live in for the egg industry. 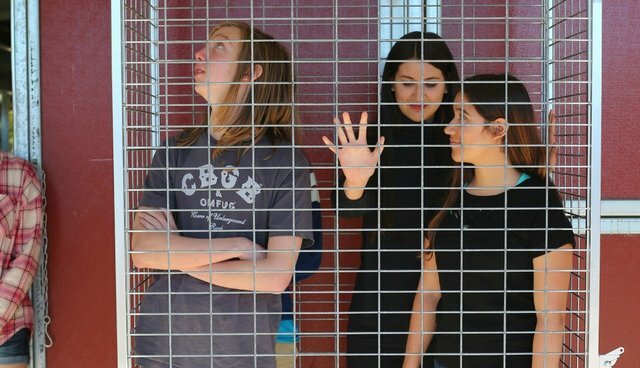 During the two minutes egg-eaters spend in our custom-made cage, typical of those found at egg production facilities, we show them that crowded, unsanitary conditions are not limited to caged facilities; in cage-free environments, thousands of hens may be confined in filthy, toxic sheds. Whether caged or cage-free or free-range, in industrial egg production, mutilations like de-beaking are common, and hatcheries grind male chicks alive because they have no value to the egg industry - 150 to 200 million baby chicks per year. And even though they should have many years of life ahead of them, once their production slows down, at 12 to 24 months, hens in egg facilities are killed and replaced with new ones. We explain that because of selective breeding, hens today produce three to five times more eggs than their bodies can handle. Such high production takes a toll, drains their bones of calcium, causes ovarian cancer, osteoporosis, deadly infections, and injuries such as eggs lodging in their reproductive tracts. Still, egg producers use artificial lighting, set for prolonged periods, and forced moulting through restricted feeding to encourage hens to lay more. 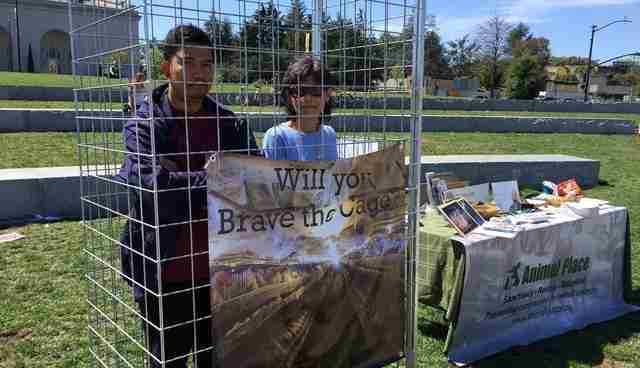 People who brave the cage learn that chickens are social with rich emotional lives and distinct personalities, just like the cats and dogs they cherish as companion animals. In the past five years, Animal Place has rescued more than 16,000 hens from egg farms throughout California, and adopted most into loving homes.